 At Cart2Quote, we’re always looking to improve our products so how we can enable our customers to “save time and create better price proposals”. Our focus is always twofold; you and your customer. When we keep your customers in mind, we know it is important to enable them to request a quote fast and simple. Second, we want it to be easy for you as shop-owner to respond with a proposal. 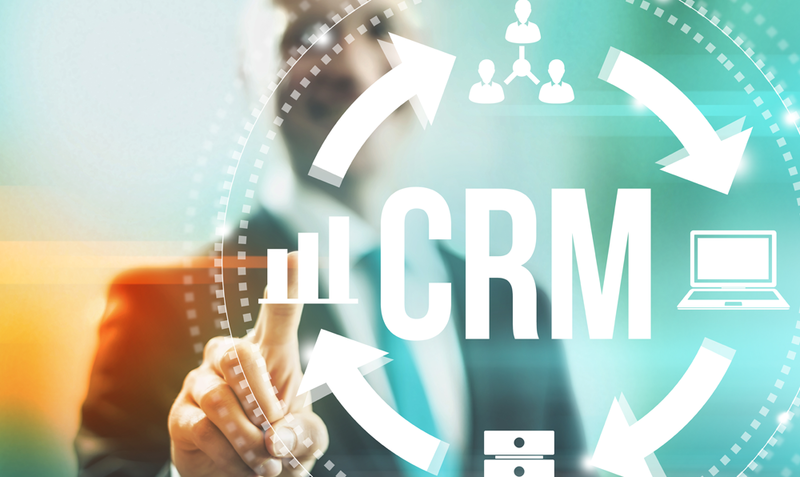 In an earlier blog we have explained how we worked hard on how we bring Magento, quotations and CRM together. In this blog we focus more on the first thing you might face: how do you know your customer requested a quote? You can now choose who will receive what kind of notification when a customer sends a quote request. From your backend you can choose to receive the same email (template) your customer receives: “thank you for your request, we will get back to you soon”. Very similar to the standard way Magento handles order notifications. However, you would still need to go to your backend and find the request before you could start working on a proposal. In the new release, we have added the option to “send quote e-mail notification” to your sales rep. Simply clicking on the link will bring you straight to your backend, directly into the quote. Talking about saving you time! This way you can start making the proposal within seconds after you received the e-mail notification. Why not surprise your customer and send a proposal within a few minutes! 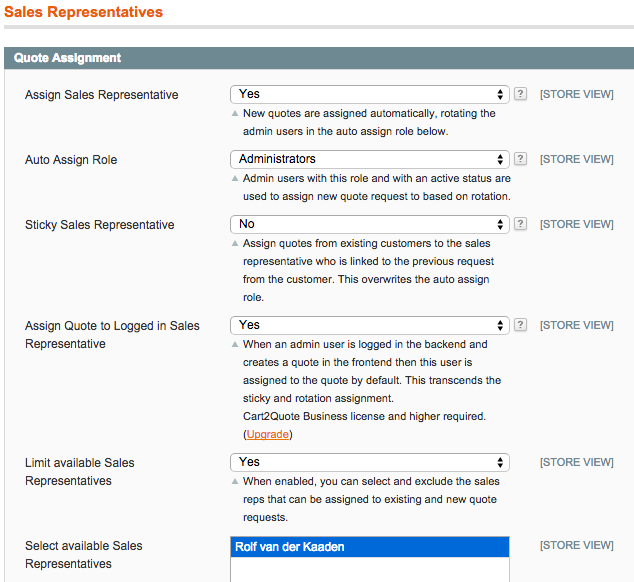 In Cart2Quote you have been able to assign roles to people, to assign a sales rep that will 'stick' to a customer and auto-assign quote requests to people with certain roles. In the example image below that would be the "administrators". Now, when you look at the image below you see "Rolf van der Kaaden" added to the list "Select available Sales Representatives". So, in this example Rolf is not an administrator for we do not want him to have access in the backend to certain data. However, we do want Rolf to be able to handle quote requests. This option gives more flexibility to your organization: you are sure to only give people access to data that you want to be available. To make sure you are indeed in full control, within your assigning of roles section (system - permission - roles) you can now (un)check options within the Cart2Quote functionalities for certain roles. This functionality will make it easier for you as shopowner keep control over "who has access to what" and to auto-assign quotes, making sure that sales reps can get straight to work when a request comes in. Again, a great time saver!